Oh man you guys. This has got to end. I’m on a dandan mein overload – I cannot stop eating it! But here’s the thing. While I seriously can’t stop myself from eating it, what I’m actually craving is Vietnamese food. 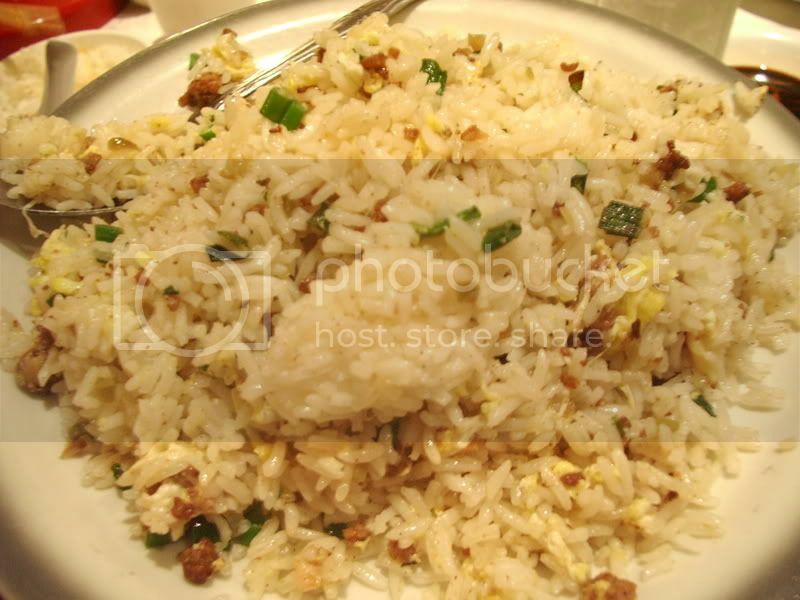 More specifically, com tam. With cha. It all started with Elmo’s post, and then Chubbypanda’s! And now all I can do is dream night and day about my plate of com tam that will seemingly never be. 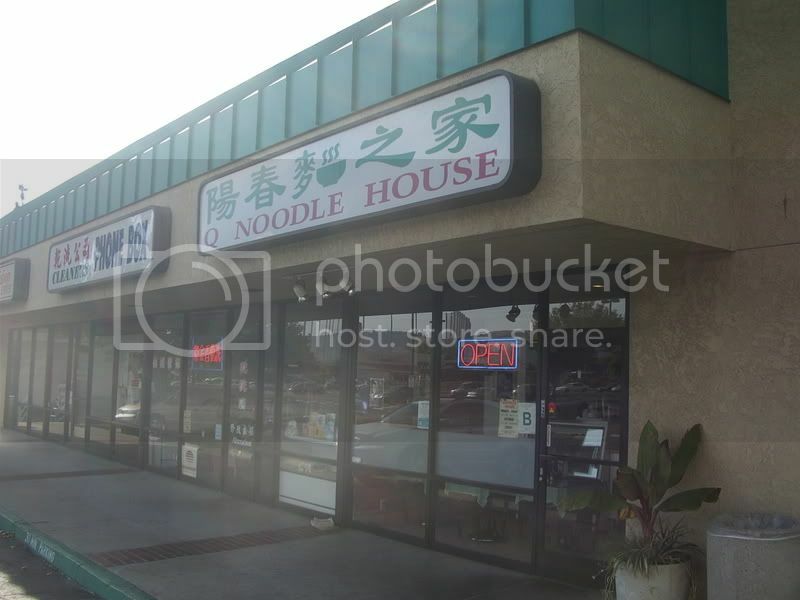 I’m honestly thinking about taking the bus (in LA of all places) to Thuan Kieu in San Gabriel. I need a caaaaar! I’m swear, I’m going to die or pass out if I don’t get com tam sometime soon. I cannot think straight (which I really need to do if I plan on doing well in school) Ridiculous. Everyone’s willing to drive out to Rowland Heights for dinner, but not a single person will take the extra 10 minutes to get to San Gabriel. Sob. Okay, I’ll stop with the pity fest and move onto dinner. But still, so sad so sad. All I want is com tam (with cha). I’ll pay anyone to drive over a plate for me! Heck, I’ll pay for your meal too! Sob sob. This was followed by the spicy glass noodles, which, my gosh, were very spicy, even for my standards. But it was sooo good. The noodles were soft and slippery in me mouth each strand with a thin coat of spice. Perhaps my favorite dish of the evening. The noodles were simply fried with entire chili peppers and onions. 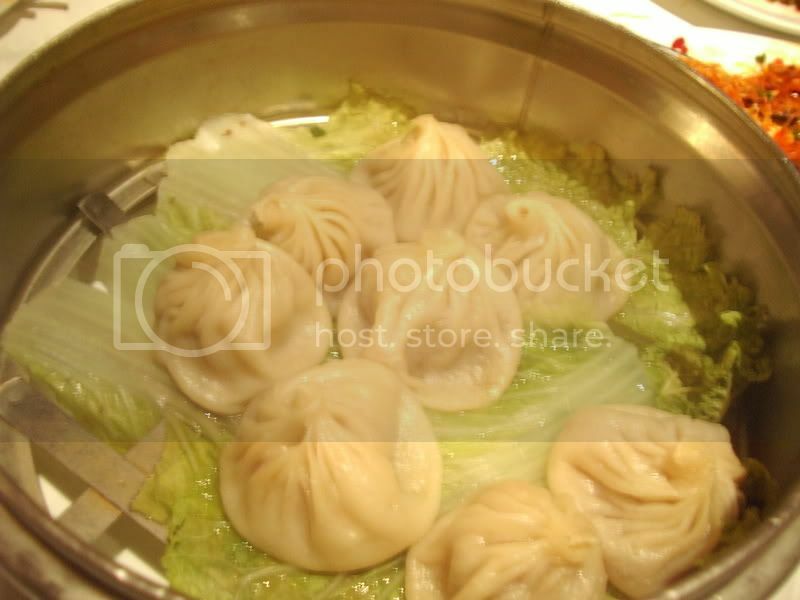 We had three orders of the xiao long bao. The skin was on the thick side, a little too chewy but at least we weren’t cheated out of any juice that could have possibly squirted out. The broth with sweet and rich, just the way I like it. No complaints aside from the thickness of the skin, but my all time favorite is at New Green Bo in NYC. One guy was intent on getting his fill of kungpao chicken and fried rice (he literally said, “I want to see how it compares to Panda Express”). Hehe, he was quite taken aback by all the peppers in the dish! Mapo tofu, was well, mapo tofu. 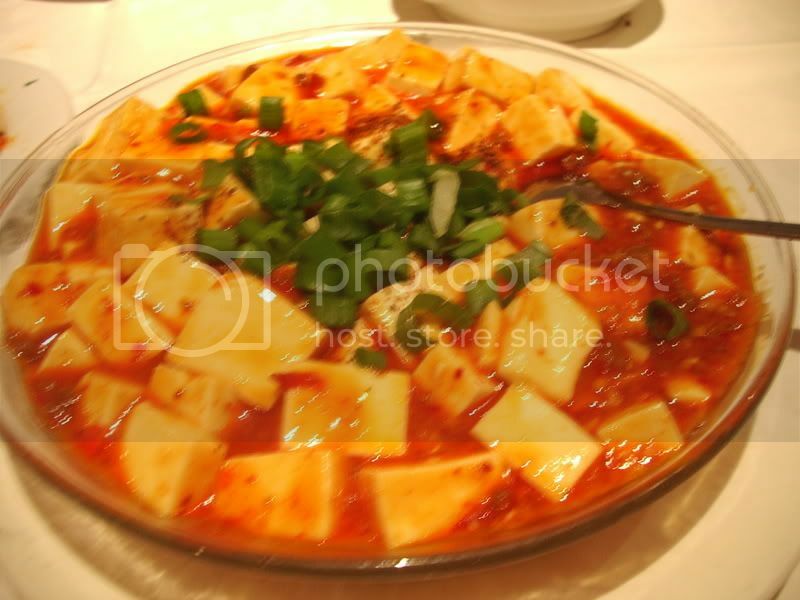 Chunks of soft tofu in a thick spicy gravy. It’s perfect ladled over a bowl of hot rice. It was a little too oily for me and all the heat from the peppers just gave me this burning sensation without much flavor. 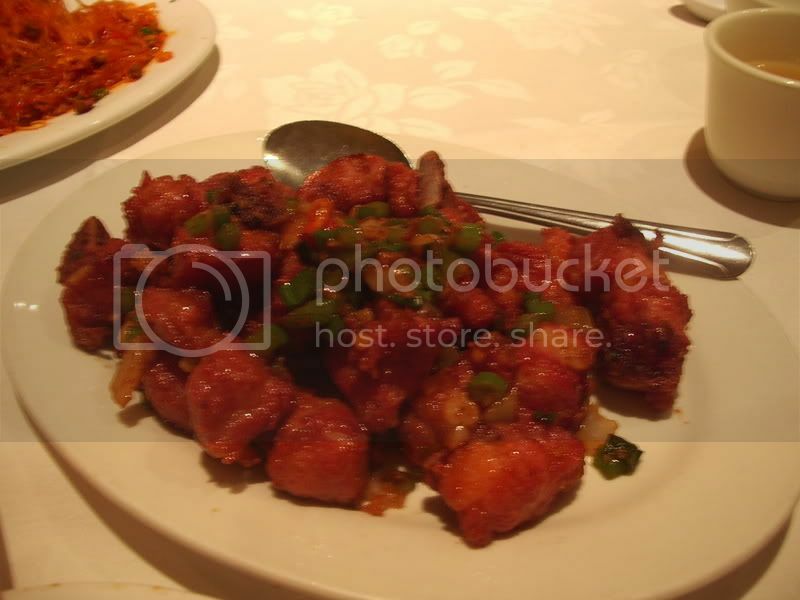 Oh man, you would have liked the fried spareribs, chunks of meat, battered and fried crispy. Each bit was at once juicy with savory and sweet notes and just popped in your mouth. Popped like a refined version of popcorn chicken. But the lamb sautéed with chives and onions was even better! The last time I had lamb was like…forever. Oh, how I missed it! 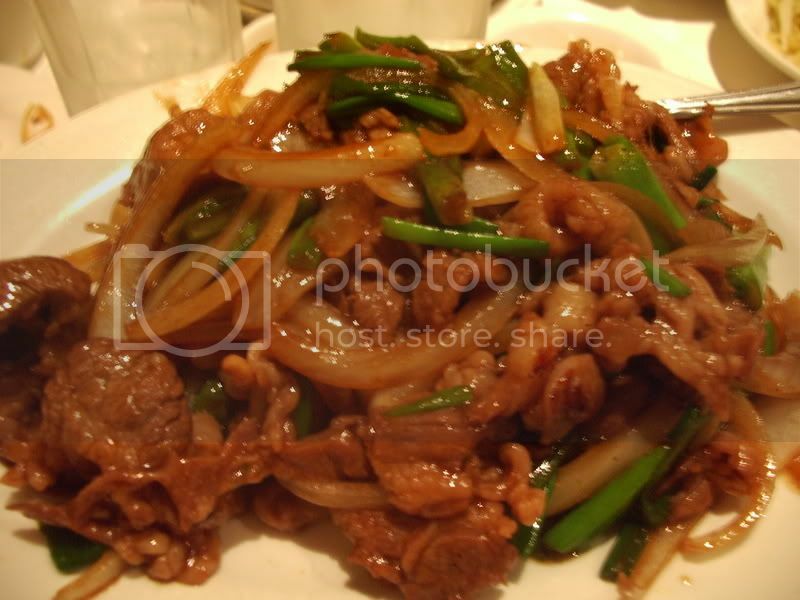 Melt in your mouth tender and chewy with slices of sautéed onions…oooh, so simple. and quite good. 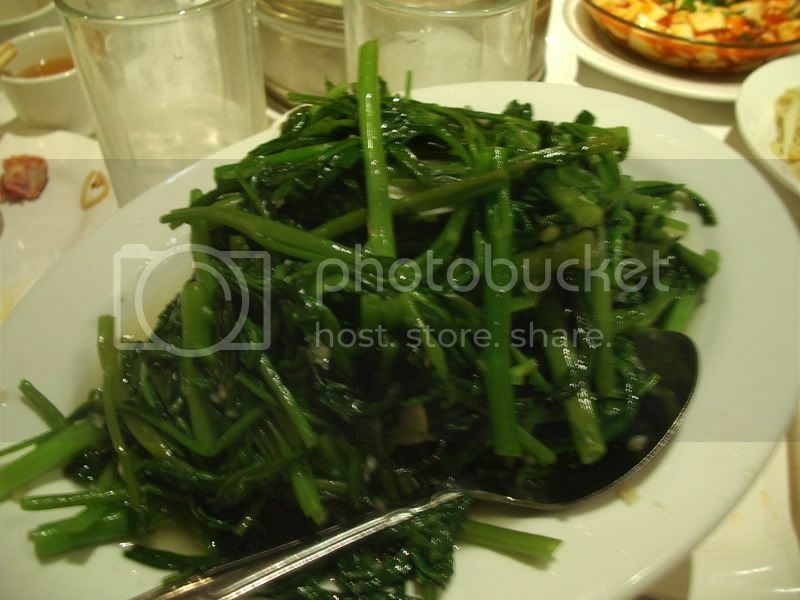 The sautéed ong choy was left mostly untouched. Not because it was bad (clean & healthy veggies! ), but because it came at the end of the meal and we had eaten A LOT. 15 dishes. I must have been responsible for four of them. And I bet two were eaten out of bitter anger from not getting my com tam. Dinner was followed by grocery shopping at Hong Kong Plaza afterwards – bought an entire durian (anyone want a piece? :)), soft cold tofu with honey and lots of frozen chicken and mushroom baos for snacking. And thennnn…dessert! We drove across the street to the most neato-est Chinese food court in the area and had a massive shave ice dessert. Look at what you get for only $3.00! 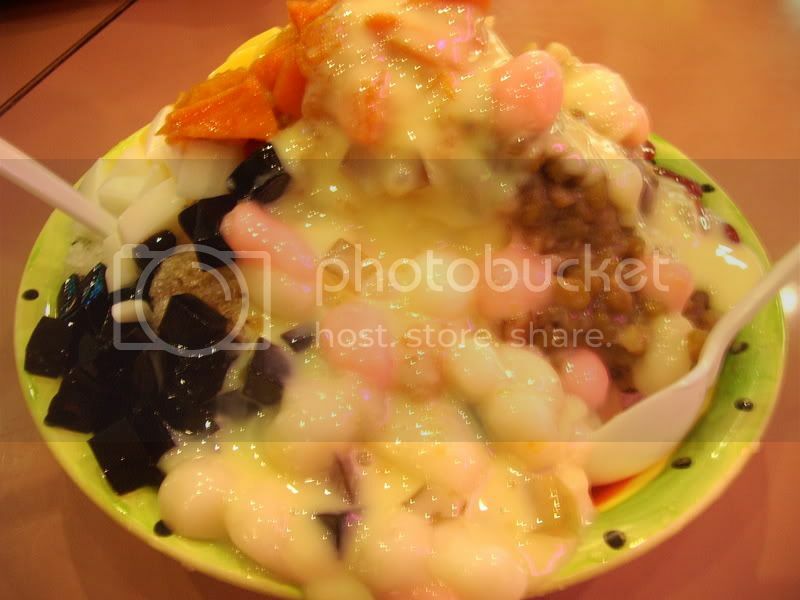 A mountain of ice piled with “8 sweet treasures.” Today they had mango jello, grass jello, mochi, almond jelly, red beans, green beans, peanuts, and pumpkin! It changes every time I come here – I guess they just pile on whatever they have in the kitchen. On good days, you’ll find soft chunks of taro on one side, but pumpkin was a pretty awesome substitute. 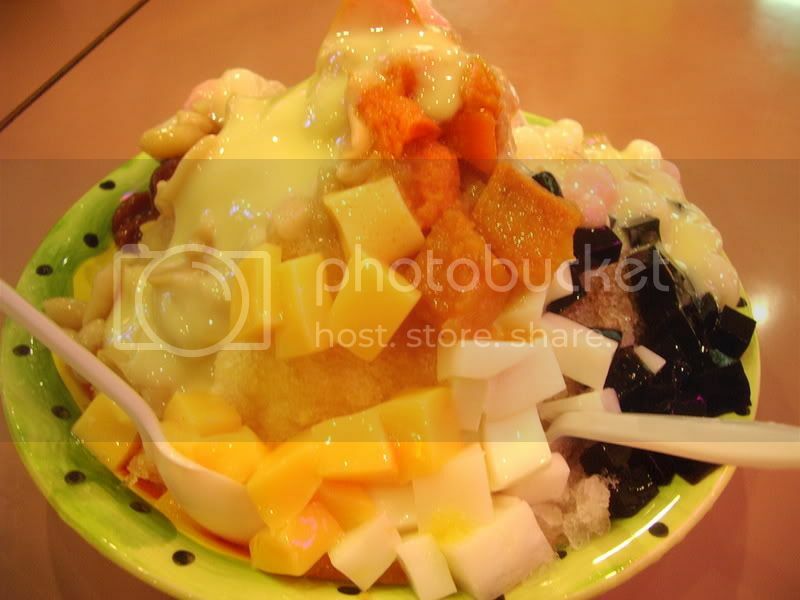 The towering ice creation was deliciously showered in condensed milk, soaking right into the ice. Sweet and cold. Chewy and smooth. Yummy and yummy. A perfect ending to our spicy dinner. But I still want com tam. I’ve been on a dandan noodle obsession lately. It’s awful. I cannot go through a single week with at least one bowl of that stuff. I’ve sampled three restaurants in Rowland Heights in the past few weeks though forgot (where have I misplaced my brain?!) my camera on the first two visits. But you’ll be happy to know that I remembered tonight – hooray! I do most of my Asian food outings with Fan, a close college friend from China. She craves the food she was raised on, and I…well, I just like to eat. And crave. Everything. Even if I’ve never had it before. We stopped into Q Noodles around 4pm on Thursday, to celebrate the happy announcement that our Advanced Accounting class was cancelled for the day :) It’s a small clean place, seating around 12 or so customers. The menu, as the name implies, focuses on noodles. But I already knew what I wanted. 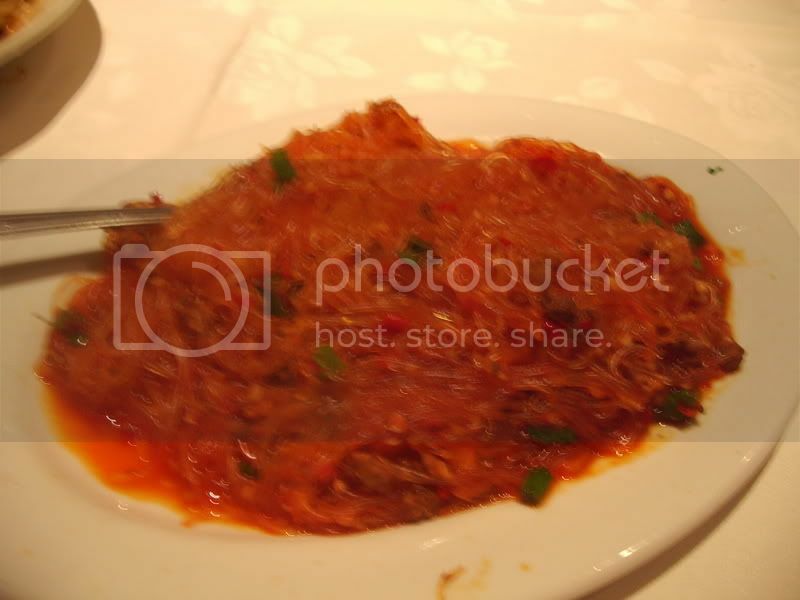 Dandan mein. I honestly think these noodles were made for me…or maybe they’re made for everyone. But everyone needs to try it. At least once! I have no idea why I’m so obsessive over them, but come the beginning of the week all I can think about is how I’m going to get my dandan mein fix for the week. It’s like crack, only more fatty and artery clogging and delicious. And cheaper. Priced at $3.65, this bowl was pure bliss. Hot boiled noodles – soft, the way I like them. At the bottom of the bowl rests a thick peanut butter based mixture with peppercorns, garlic, vinegar, brown sugar, shoyu, and sesame oil. 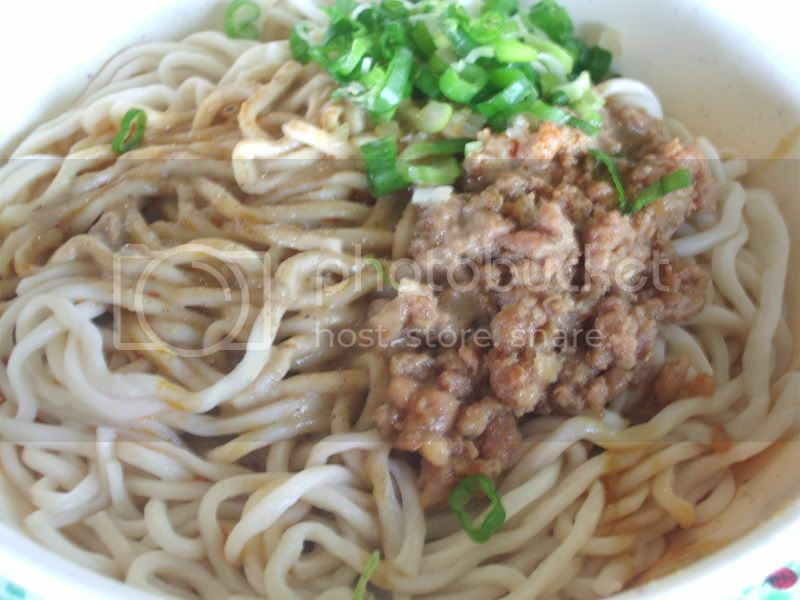 The noodles were layered right on top followed by seasoned ground pork and green onions. Oooh, just mix it all together (note: this is a pre-mix picture, so you have to order it yourself to experience the visual joy as well), watch the steam rise and dig it. It’s pure bliss I’m telling you. And I wouldn’t lie. Not about food at least. 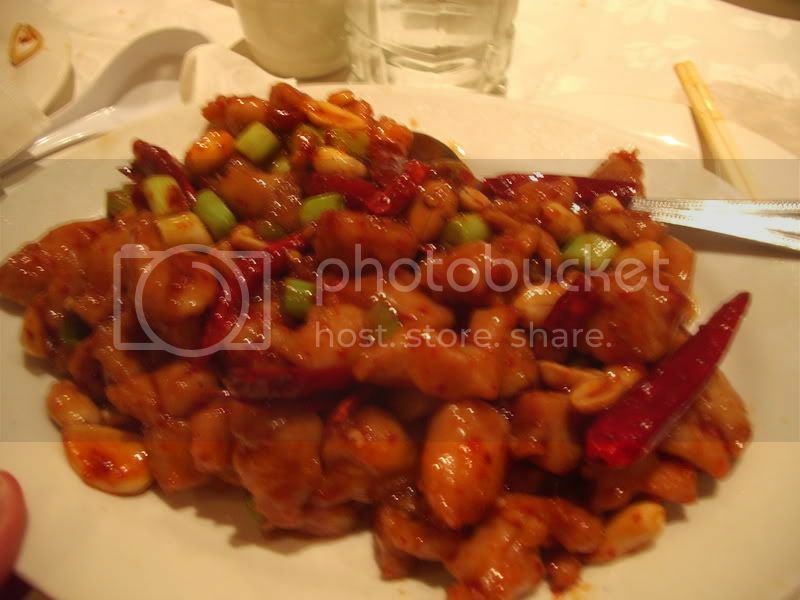 The savory spicy thick sauce clings tightly onto the noodles, dragging up sweet bits of pork. Amazing. This was perhaps the second best of the three I’ve had so far, with the best from Manie’s Restaurant (read Kirk’s revieww on Manie’s) in the Hong Kong Plaza and the worst at a nearby food court next to the SF Supermarket. What’s it about spicy peanut butter and noodles? Craaaazy, I tell you. In fact, I’m craving another bowl now! Fan’s a pickled vegetable fan and one of her favorite dishes back home is the stewed lamb and pickled vegetable noodle soup. Unfortunately, Q Noodle doesn’t have lamb on the menu, but she was rather content with the Pork and Pickled Vegetable noodle soup. It was made with the same yellow noodles, and a shower of boiled pork, and what else, pickled vegetables. I like how the veggies, slightly sour and tart, give such a distinctive flavor and bite to the dish. 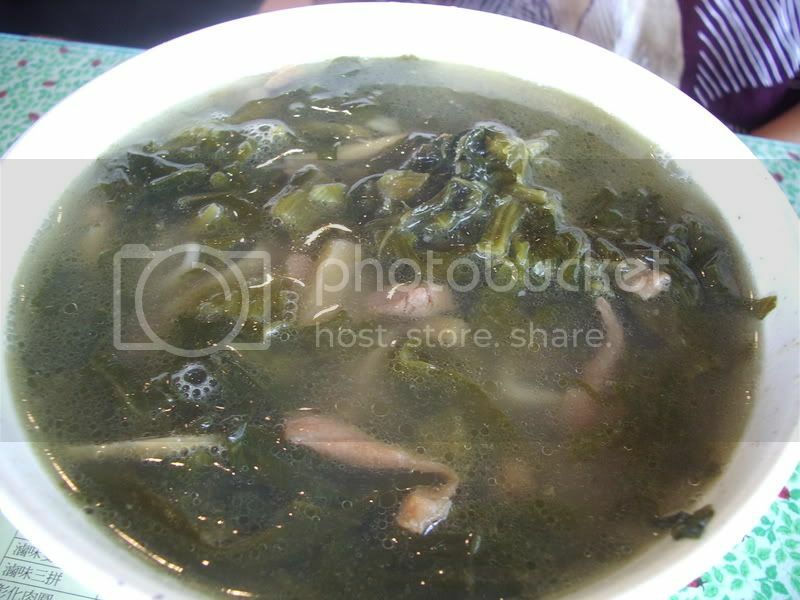 It like: noodle, soup, meat, noodle, soup, meat, noodle…so…wait! Veggie! Tart veggie! Like that kind of surprise. :) The soup was cheap stuff, not at all flavorful aside from being very salty. 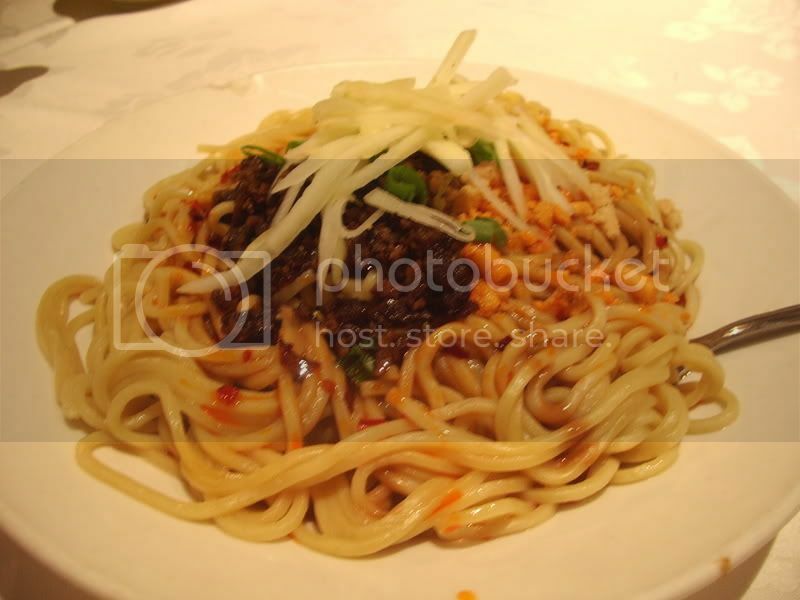 But I was in such heaven with the dandan mien that it was hard to focus on much else. We finished our meal with durian smoothies at a drink stand inside the SF Supermarket, where I also bought a mini green tea mooncake. Mmm, don’t forget, October 6th – Mooncake day! Well I didn’t think I would have the chance to visit any of these places, given my living-in-LA-with-no-car situation, but lo and behold, Kiwiberry pops up in the Claremont Village of all places! Finally. A place within walking distance! So on Sunday afternoon (when I should have been doing accounting homework) I strolled over on my own two feet to Kiwiberry. The interior of the shop is clean and modern, stark white walls with splashes of bright colors here and there, in an attempt to appeal to the vast numbers of college students in the vicinity. It doesn’t fit into the old town feel of Claremont, but is a welcome change nonetheless. I was given a sample of their two flavors: plain and green tea. They taste exactly the same. Tangy, just a faint touch of sweetness with the consistency of slightly icy frozen yogurt. The menu is short and simple. Two flavors. Two sizes – $2.00/small and $3.50/large. Add $1.50 for up to three toppings of your choice. Okay, I lied. It’s not that simple. They just added on crepes and smoothies a few weeks ago. But no more complicated than that. I chose the small green tea, no toppings, in an attempt to try pick out the “green tea” flavor. Unsuccessful. It just tasted like the plain one! The only green I detected was the mellow color of the yogurt. (Lack of) greenness aside, I enjoyed Kiwiberry but don’t understand people’s “addiction” to it. It’s a cup of green colored frozen yogurt! Good on a hot day, but McDonald’s soft serve cone would leave me just as content. I’d opt for a flaky croissant any day. Oh pastries. I think they win my heart in the end. Panic suddenly set into me when I realized that this is probably the last year I’ll be in the LA area before moving to NYC. Holey moley, I thought. There’s a treasure trove of Asian and Mexican food to be found and I’m spending my time on monte cristos (see below)? Give that this is a Tuesday night and there’s a buttload of homework to be done, I did a quick search for taco joint in the Claremont area and then beggggged and convinced my dear friend Fan that we would simply die if we did not have tacos for dinner. And so here it is! 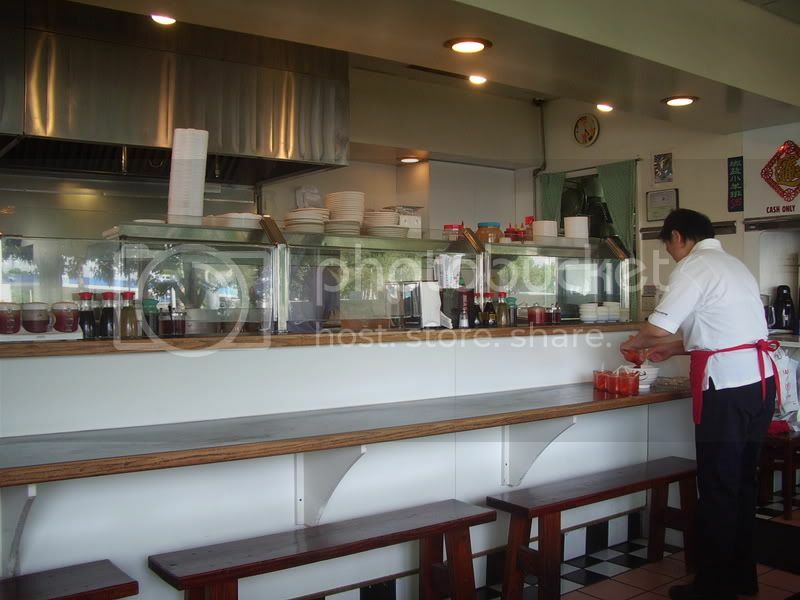 Dining options are limited in Claremont :( (unless you consider Macaroni Grill and Olive Garden to be the height of culinary success) and Patty’s is one of the few restaurants that people head to with an excitement to eat good food, as opposed to filling your stomach. It’s a dingy old spot, I would have headed in anyways but the “A” health inspection was a little reassuring. Patty’s is known for two things: 1. The Hot Sauce 2. Fresh House made Tortillas. They give you a little bottle of the sauce if you get take out, but if you sit in and eat, they provide a whole big bottle. I watched as two different groups of people downed the entire bottle with their burritos. Is that sick or impressive? You have to forgive me for any incorrect descriptions or analysis of this taco. My lack of experience with Mexican food leaves me only with eager taste buds and a lot of attempt with descriptive words. The Carne Asada Taco held fair sized chunks of tender steak with just the right chew, a pile of lettuce, tomatoes and onions. It was just good. Tasty, with all that meaty-ness and a good squirt of hot sauce (actually the sauce was good but not all that spectacular – think slightly sweet watered down Siracha – I concluded that people used so much sauce because it takes a heavy dose to taste the spiciness!) I liked how the taco tasted “fresh” and clean – not at all like what I’m used to from Taco Bell (which is surprisingly one of the more successful fast food places in Hawaii). I was a bit bummed when I discovered that only the tortillas used for burritos were made in house, but that’s just another reason to return. This was the first time I’ve had a potato taco and boy, if Patty’s was in walking distance my consumption of fried foods would increase infinitely. I’ve never even heard of a potato taco before, and knowing me, I felt an instant attraction to carbs. A soft tortilla was filled halfway with a seasoned mashed potato mix – slightly chunky. Then,…here comes to good part, then entire thing was deep fried! Mmm, yum indeed! The potatoes we slightly spicy and their soft texture provided a welcome contrast to the golden crisp shell. Finished with lettuce, tomatoes, and cheap old cheese, I think I got a good deal for my dollar. I don’t know how many tacos on average constitutes a meal, but the two from Patty’s plus an avocado milkshake filled me up pretty good. I’ll definitely be back to try the burritos – can you believe I’ve yet to have a fresh flour tortilla??! Oh dear. It is not often I have deep fried sandwiches with french fries for lunch and I don’t think I should do it that often. But when I do – no regrets! Well here comes the truth, I’ve actually been back in school for nearly a month but am still doing my Hawaii posts from this past summer. Can I help it if there’s so much to eat on our tiny island and now enough hours in a day to post? :) I’m far from finished, but I had such a gooooodgooood meal today that I would feel awful if I didn’t share it with you. Sabine and I drove down to Pasadena for a late lunch at the Crepe Vine. Our original plan was for tartines and brioches along with chocolate tarts and praline spread on baguettes at Le Pain Quotidien – a place I used to visit frequently in NYC. But we were sidetracked by this small restaurant right off the bustling streets of Colorado Blvd. What’s life without a little adventure, eh? So we turned in. And boy, am I glad we did. We were quickly seated in the small European-esque restaurant. There were a handful of diners on the outside patio, but it was such a hot day so we opted for a cozy indoor corner seat. The menu came. And we were hungry! It would be logical to order crepes at a restaurant by the name of Crepe Vine but once I saw the words “Monte Cristo” on the menu, I instantly fell in love. Why, I can’t even recall the last time I had this hot crisp delight. With garlic fries nonetheless! I am soo easily sold. Mmmm, lookie. Monte Cristo – fried ham and cheese with strawberry chutney ($9). It was divine. Layers of ham and cheddar sandwiched between a thick & fluffy soft, almost challah like bread. Dipped in an eggy batter and fried till the corner were crackly crisp and nearly burnt. Each bite revealed hot savory ham laced by the melting cheese and such bread, hot soft, sweet. You really can’t go wrong. My only disappointment was that there wasn’t any strawberry chutney smeared inside the sandwich, as the menu description implied. Instead they gave a small dish of diced strawberries on the side. We’ll forgive them. Top the sandwich with a whimsy of powdered sugar and I was set. Well almost – don’t forget the fries! Stringy hot crunchy strips tossed with plenty of pungent minced garlic and a handful of parsley. This brings up the “mountain of fries issue,” – every time a good restaurant offers fries it often comes it a beautiful massive mountain. You look at it and think, “man, there’s no way I could finish this.” But then you do! You ALWAYS do! No matter how big the mountain. Shudder. It’s as if they just disappear. Like magic… I don’t even want to tell you about the after effects of this meal. I felt like I had solid bowling balls of oil hanging in my belly. Surely not a pretty sigh. But so worth it!